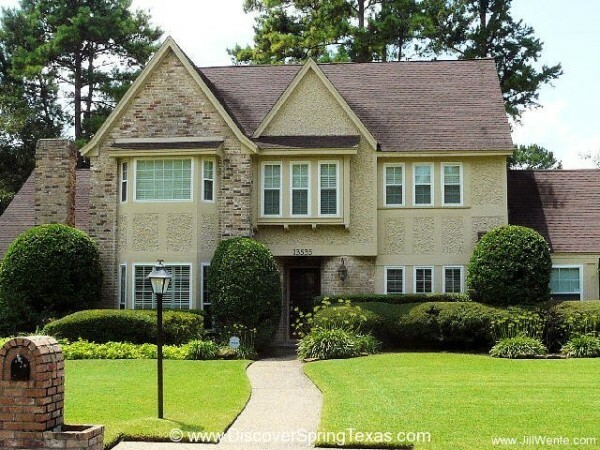 Located just to the North of FM1960 and East of Champion Forest is the established Northwest Houston TX neighborhood of Huntwick Forest. In the evening, you are sure to notice the gas lights that adorn every lawn. As they cast a gentle, warm glow across the subdivision. The subdivision’s newsletter titled “The Herald” is an excellent resource to learn about the numerous organized events planned through out the year by the residents of Huntwick. It is in The Herald where you find the photos of the homes and yards that won “Yard of the Month” and “Best Decorated yard for Christmas”. Its in The Herald where you will find the contact names and numbers for the residents that are coordinating the sale of Fourth of July and Red Christmas Bowes to adorn the gas lights in the subdivision. According to one Huntwick resident, the events not to be missed are the Fourth of July celebration at the Huntwick club house and the lighting of the Christmas luminaries. On Christmas Eve, the residents line the curbs and sidewalks with luminaries to light up the blessed night. And as an added bonus they provide a shining beacon to Santa Claus and his reindeer. 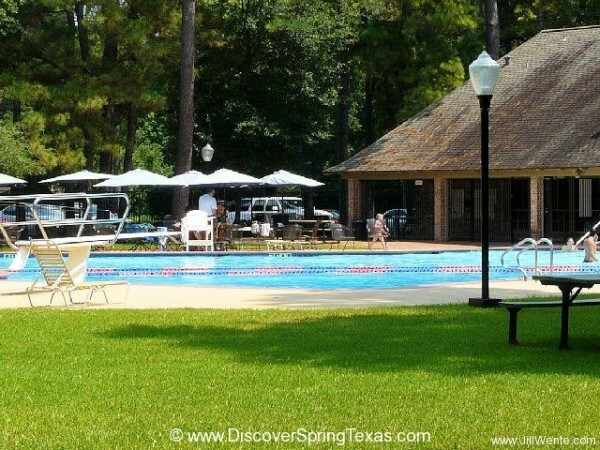 The facilities available in the Huntwick Forest subdivision include a playground and picnic tables, 2 parks including a dog park, basketball court, tennis courts where the Huntwick tennis league teams play, swimming pool which is home to the Patriots Swim Team, and a club house with a big screen tv. 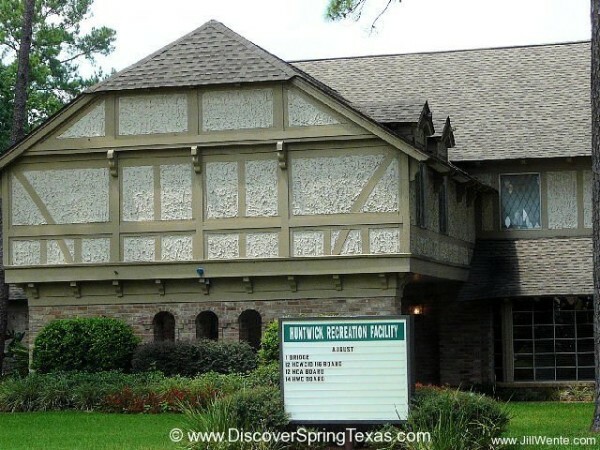 In March of 2006, Harris County WCID# 116 purchased the property formerly owned by the Huntwick Racquet Club. 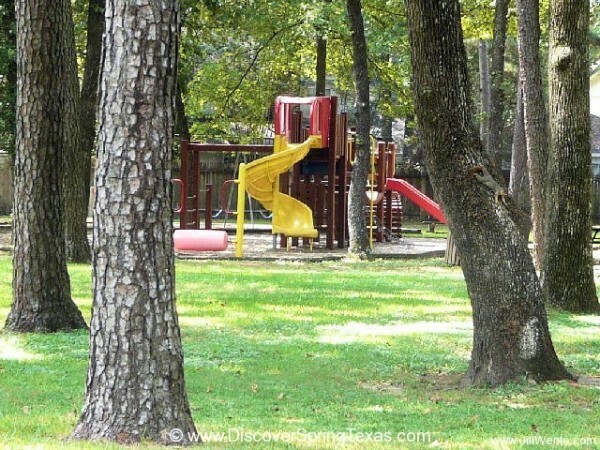 The use of the playgrounds, picnic areas, basketball court and fields are available to all Harris County WCID# 116 residents. The use of the other facilities (swimming pool, tennis courts, and clubhouse) require the payment of an annual recreation fee of $350. The recreation fee is a separate fee from Huntwick’s small annual HOA fee of $138. 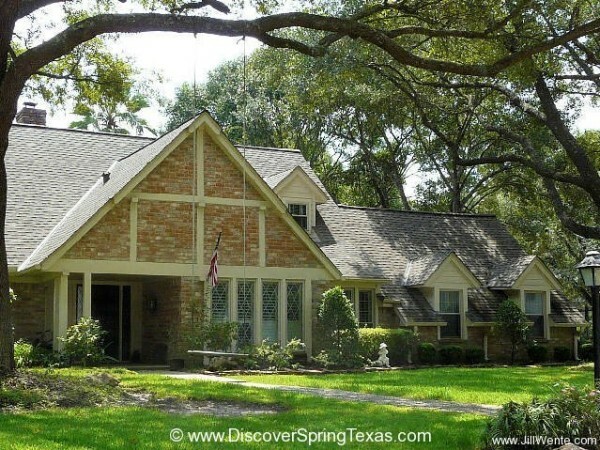 The Huntwick subdivision is split between the Cypress Fairbanks school district and the Klein school district. 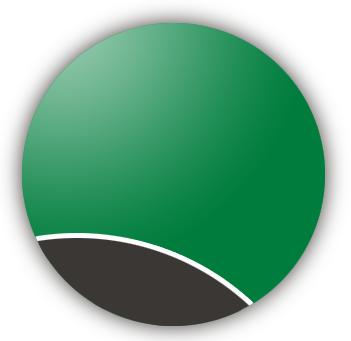 The majority of the subdivision is zoned to the Cypress Fairbanks school district. To learn more about the student – teacher ratios, campus demographics, and the latest TAKS scores and school ratings visit TEA ratings. On generous lot sizes sits the 832 homes of Huntwick Forest. The square footage of the homes range from 2,400 to 6,100 with the median home size being 3,100 square feet. 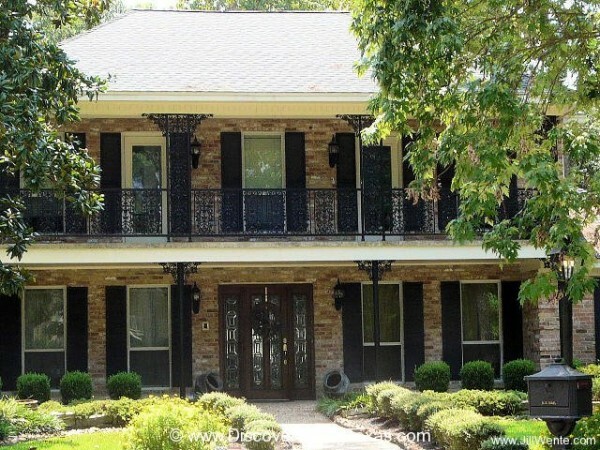 The homes prices are reasonable and range from $175,000 to $570,000. Homes in the lower end price range suffer from lack of updates and provide potential buyers with a good look at the styles of the 1970s. In general, the lack of updates is typical for established subdivisions. 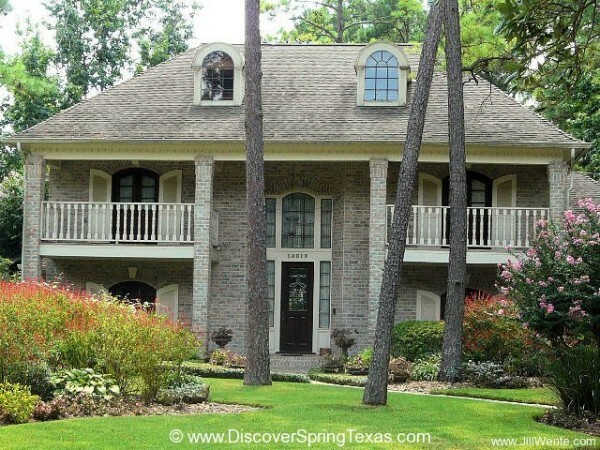 The trade off the established subdivisions offer is mature trees and landscaping along with larger lot sizes. 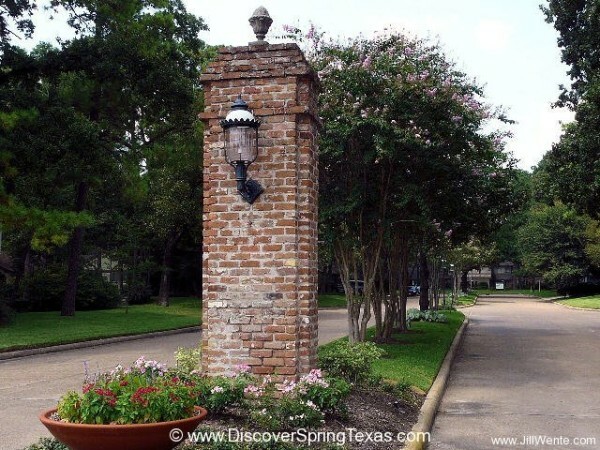 Amenities not found in newer subdivisions at the similar home prices. 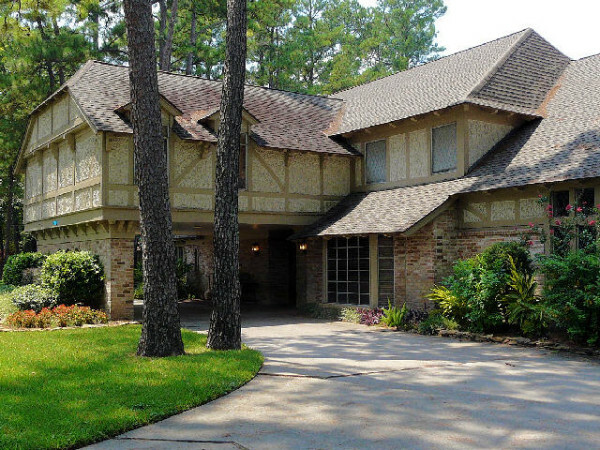 The architecture of the homes in Huntwick is Tudor, English and Traditional style. Some of the common home amenities are both formals, wet bars, large bedrooms, and numerous homes have private in-ground swimming pools. 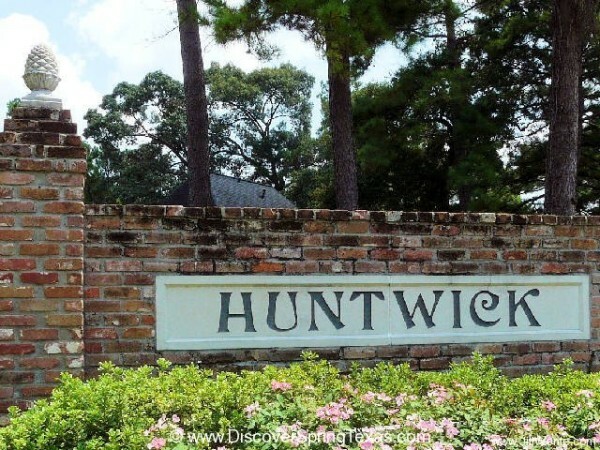 The homeowners of Huntwick cherish the convenience of the upscale shopping and dining that is located at the entrance to their subdivision. The Champions Village shopping center located at the corner of FM 1960 and Champion Forest provide dining options at La Madeleine, Rock Fish Grill, Carrabbas, Campioni’s, Berryhill, Cafe Express, and Pei Wei. Retail is also well represented at the Champions Village shopping center with merchants of Talbots, GAP, Ann Taylor, Harolds, Stein Mart, Cost Plus/World Market, and Barnes & Noble.